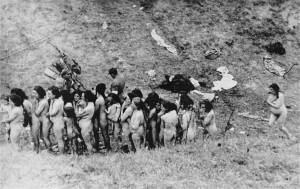 Naked Jewish women, some of whom are holding children, waiting in line for their execution on October 14th 1942 in Miczocz, Rovno. © USHMM, courtesy of Instytut Pamieci Narodowej. Published source: Klee, ernst. Jewish men being put into rows for execution by Waffen SS members and SD officers. Original photo caption: "Hitlerites shoot soviet citizens 1942". 1942. USSR. Photographer unknown. © Russian state archives of films and photo documents. On Monday, October 4, 2010, Father Patrick Desbois, President of Yahad-in Unum and author of The Holocaust by Bullets: Uncovering the Truth Behind the Murder of 1.5 Million Jews (2008), presented at an event in Toronto, Canada, hosted by the Holocaust Education Committee of the Jewish-Christian Dialogue of Toronto and Beth Tzedec Congregation. The type of research underway on the Holocaust by bullets by his team is as active as it gets. In village after village in present-day Ukraine, they are working with the public. Interviews with local witnesses more than 60 years after the fact provide harrowing accounts of the “Holocaust by bullets.” Using ballistic evidence to locate mass grave sites with the help of local witnesses, Father Patrick Desbois and others have revealed more on this unknown chapter of Holocaust history. 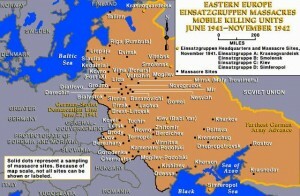 Since 2004, they have interviewed over 800 eyewitnesses and identified more than 900 mass graves in Ukraine and Belarus. However, witnesses are dying and time is running out to capture their stories. 2490 bullet cases found by Desbois and his team in Khativ, Ukraine on the 15th of April, 2006. 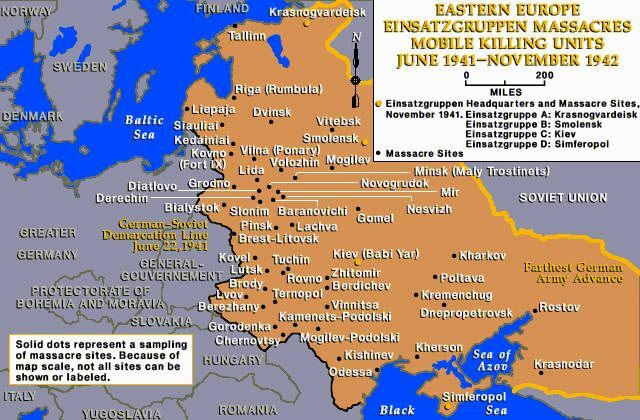 As their testimonies explain, after Operation Barbarossa, the code name for the German attack on the Soviet Union in June of 1941, special mobile extermination squads were organized to kill Jews by bullets in the former Russian occupied zone. Jews were rounded up in town ghettos and told they were to be relocated, only to be taken to the woods, to be shot. 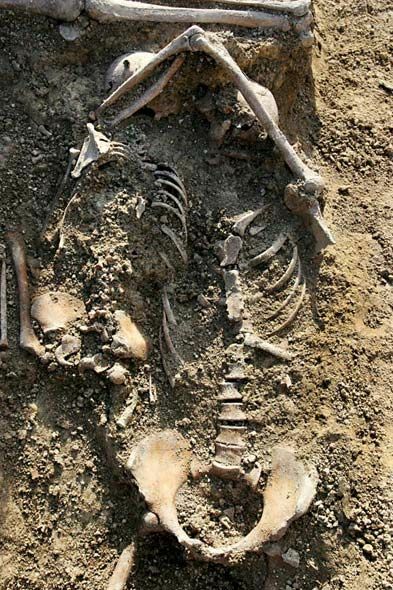 Their bodies were buried in mass graves. The Nazis later determined it was more cost effective to kill Jews and other groups by inserting Zyclone B gas in large-scale gas chambers. However, in general, the public is more familiar with the gas chamber method of killing. Last fall, I had the opportunity to travel to the Ukraine. 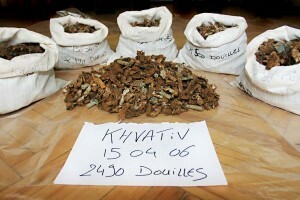 I spent time doing research on the Holocaust by Bullets and interviewed witnesses in Rovno and Berezne. On August 25, 1942, 3,680 Jews were marched out of the Berezne ghetto and forced to help dig three mass grave pits, each 20 metres in length. They were then shot to death in rows of five. According to witnesses, the pits moved for three days, and blood leaked through the ground. Many of the children were simply thrown into the pits and pushed down so as not to waste a bullet. 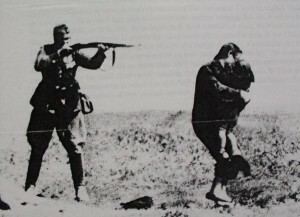 Some Ukrainians were forced to assist in the killings. Others willingly did so. 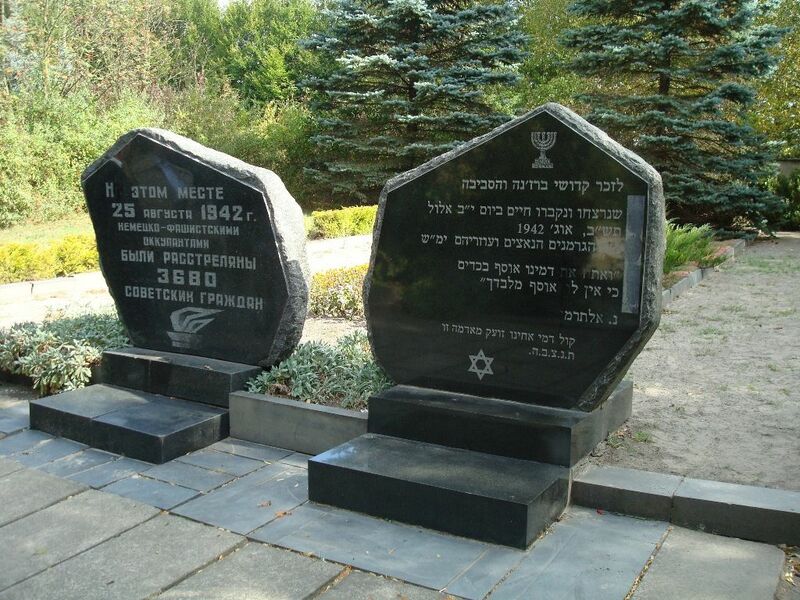 A number of Jews from Berezne were killed in the major city centre of Rovno, a 45 minute car ride away today. 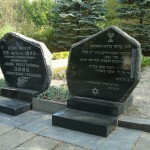 The total population of Rovno in 1939 was approximately 40,000, 30,000 of which were Jews. 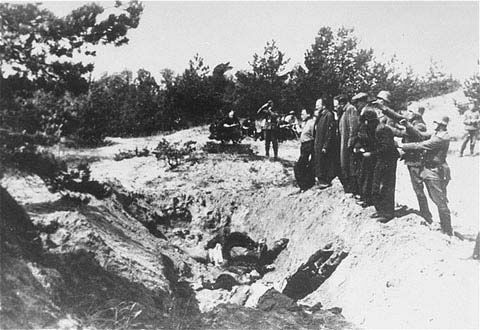 As witnesses explained and I saw firsthand, 17,500 people were killed by bullets at the mass grave site in Rovno, and approximately another 5,000 were thrown into a big stone quarry pit in Kostopil. 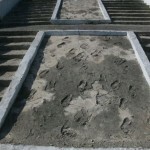 The memorial area where the 17,500 were buried in mass pits in Rovno is overwhelming. It is very large and there are dozens of plaques with some of the names of those killed. 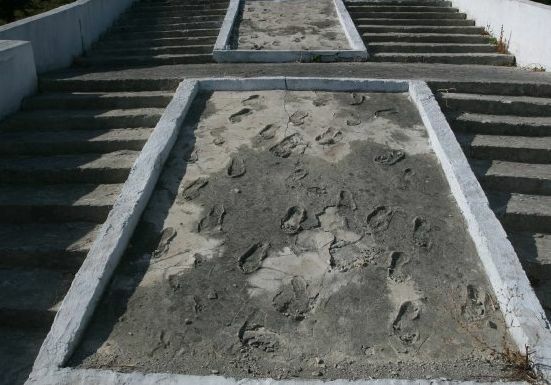 Symbolic footprints commemorate their forced descent to their deaths. 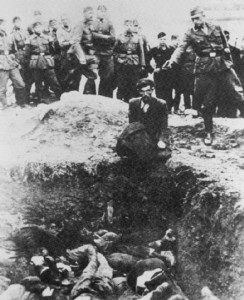 In spite of the Einsatzgruppen Nuremberg trials from 1947 to 1948, material evidence (bullets and archival photos), accounts of local witnesses, and testimonies by rare survivors, the Holocaust by bullets in Berezne and Rovno, like in the Ukraine at large, remains shrouded in secrecy. It is not discussed, and rarely acknowledged in public. The active historical investigative work under way by Father Desbois and others is challenging that silence, and educating people around the world. The next time you read or hear the world “Holocaust,” I encourage you to picture bullets in addition to concentration camps and emaciated bodies. After all, 2.25 million out of the 6 million Jews who were murdered during the Shoah were killed by bullets. Thanks so much for shedding light on this genocide. It made me feel sick to see these photos, but this is what is needed for everyone to remember the horrific murder of millions of innocent people. Keep up the great work Karlee! Thank you Karlee for reminding us of the Holocaust by Bullets. Indeed, our collective memories tend to think of the gas chambers rather than the bullets. As horrific as these photos are, I salute you for putting them up. We need to be horrified and reminded by these atrocities. The images of children are the ones that really got me. Our world needs constant reminding as evidenced by atrocities in Rwanda, etc. How much more reminding do we need, I wonder? How many more horrific images do we need to see before we collectively say, “Enough”? Thanks for sharing this information. The work Father Debois and others (including you) have been doing is crucial to reming us of the horrific murder of innocent people. It should not be forgotten. After speaking to one of their communication staff members who contacted me after reading this post, I can tell you that I have an even greater respect and appreciation for their work and dedicated, hard working staff. I recently read about your visit to Rovno. 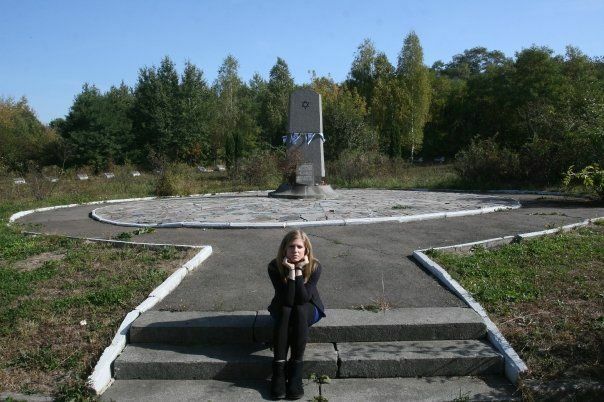 i was very moved because my whole dad’s family was killed at Rovno during the holocaust. I would love to get in touch with you and ask you a couple of questions, if you don’t mind. looking forward to know how to contact you. It was very interesting to read this article and I see you talked to witnesses so that even more interesting. My grandfather is from Berezne, He was there with my mother couple of years ago but I doubt he talked to the localers. His mother was murdered in that hole and his sisters were murdered in Rokitna and Kostopil, one brother got mad and died in the wood because they murdered his wife and the twin girls daughter and his father died while hiding in the woods out of a disease. He hided for 2 years between the ages of 14-16 till the Russians came. I would really like to hear more about what the witness mentioned on the whole story. My grandfather didn’t talk about it for years. I appreciate someone taking the time to get to our historical truth. I am in the process of researching my parents journeys during this tragic time. My mother was in both Berezne and Rovno…she was 14. She shared how she witnessed the mass graves of just about entire villages shot to death. I can’t even imagine….but it happened. I was very excited to read your article. 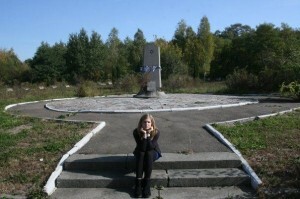 Just two days ago I found that there is a monument on the mass grave in Berezne. Where my grandmother and aunt were killed with other family members. During the ww2, my mother’s family moved from Turka through Melinsk to Berezne, my grandmother stayed in the ghetto to take Care on the elderly and my mother’s sister who was four years old. My mother, her brothers and sisters, worked for farmers around and sometimes in the dark they came to the ghetto. The last time that they returned there, my grandmother was horrified and told them that until dawn they are not there. After a few days they heard about the murder. About a year ago my aunt (Another sister of my mother) told me she has only one dream, to reach her mother’s grave to light a candle. Yesterday I brought them the picture of the monument. They were shocked and with tremendous excitement. All I have left now is to take them to that place. I’d be very grateful if you can send me the information how to get there, Is there access to the monument with a car? Do we need to go by foot? How long is it because my aunt cannot walk much. Do you have a guide or a contact person that I can arranged with him to take us there. my fathers family were from Rovno my dad Boris Sher was the only survivor from his family he didn’t talk about it to us. i would like to find more about mu family how do i go about it?